Regardless of the project, we begin with a client brief, before exploring a few different concept design options to ensure the best possible design solution is found. After presenting and discussing concepts in sketch form, we like to develop the client-preferred concept in close consultation with our clients and consultants. We have substantial experience gaining approval from Owners Corporations, Local Councils and Authorities as well as the Land and Environment Court. We offer 2 main services for the construction phase. 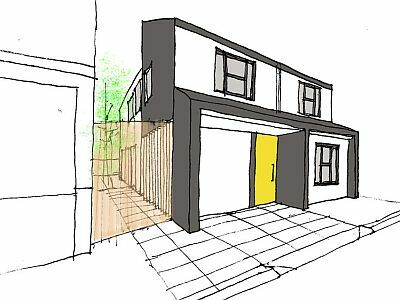 We can create a basic set of construction drawings to hand over to a builder. Or we can create a comprehensive set of detailed drawings and specifications for tender to different builders and also administer the building contract right through the construction phase of a project. We like to work with builders as early in the process as possible to create cost effective and buildable design solutions. All of our services can be tailored to suit individual client needs.